Last PRACTICE of the SEASON :- Thursday 25th April 8.00 to 10pm at Kingskerswell Scout Hut, Dobbin Arch, TQ12 5FJ. 11.45 am outside the Bell Inn, festival finishes 5.20 pm ish. Bovey Tracey Garden Club Summer Show 2017. 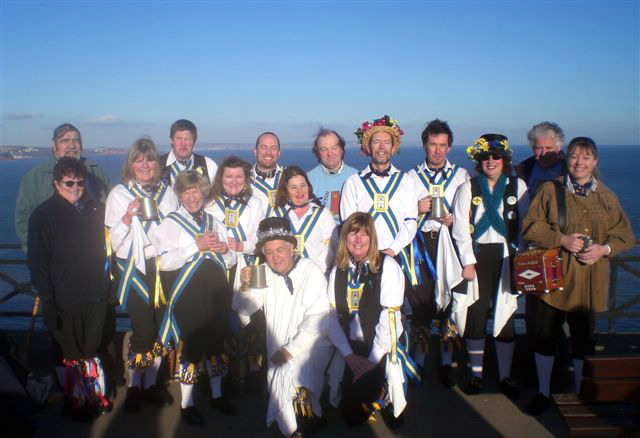 Newton Bushel Morris in the sunshine at Sidmouth Folk Festival Sun 3rd Aug 2014. 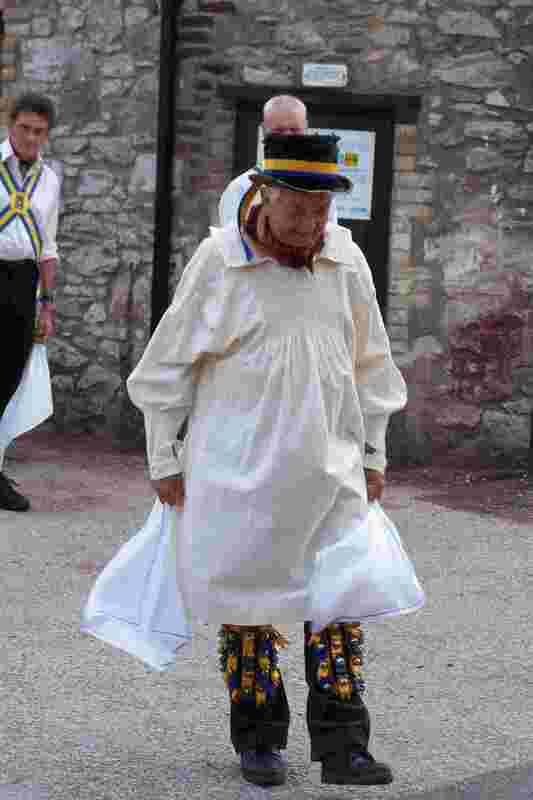 The much acclaimed Newton Bushel Morris are a Cotswold side formed in 1972. 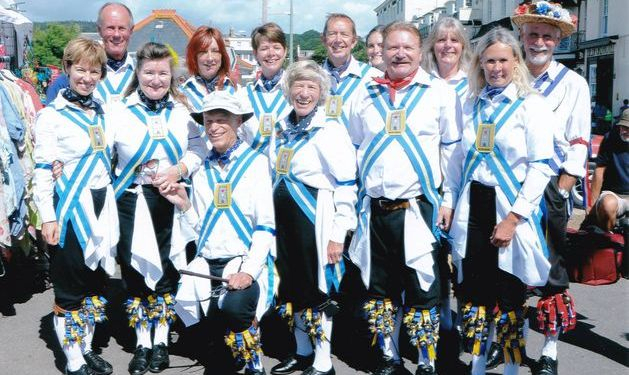 We dance around the Torquay, Newton Abbot and South East Dartmoor areas. As from March 2009 we are a mixed side. This means that Ladies are now more than welcome to join us. We are currently recruiting new members, both men and ladies. We would also love to hear from you if you can play a musical instrument. Our minimum age is 16. 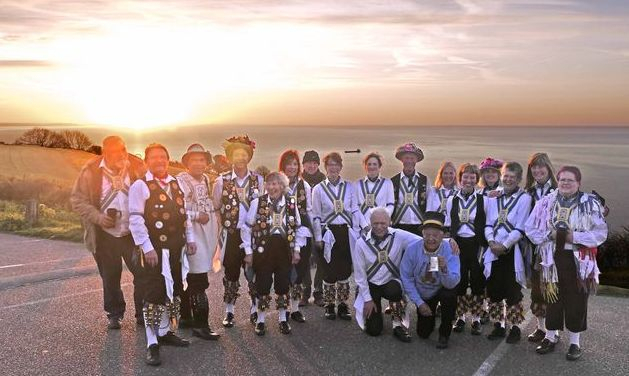 STOP PRESS: We challenged Matt & Myranda, of Gemini fm breakfast radio fame, to learn a Morris Dance. Click here to see what happened. 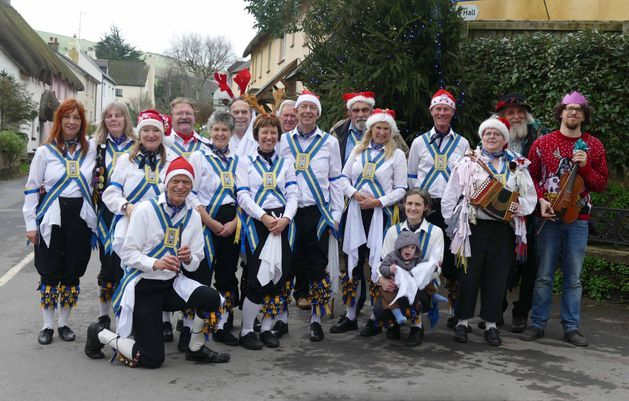 To find out lots more about us and Morris Dancing click on the links at the top of the page. 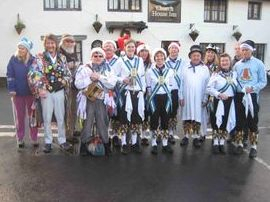 Newton Bushel Morris are :-inviting musicians to join and play for our expanding group of men and women dancers. 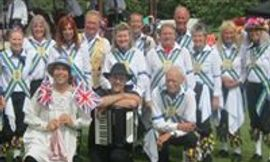 We are particularly looking for melodeon, concertina or accordion players but would welcome fiddle and woodwind players too. We are also still looking for new male and female dancers over the age of 16, ( no experience necessary). (TQ12 5FJ) every Thursday evening until the end of April. 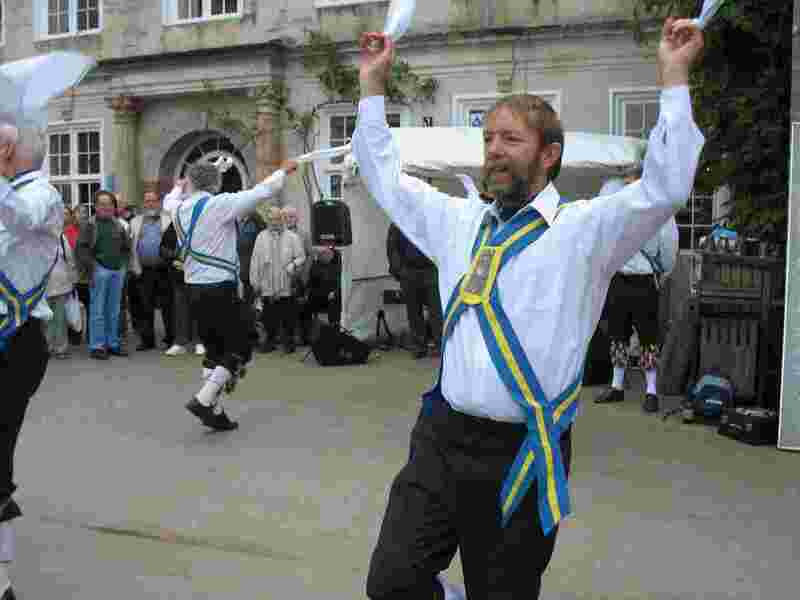 Dancing "Landlord Fill the Flowing Bowl"
at the Rugglestone Inn, Widecombe, Devon on 4 June 2015.